May be many of you feel lost or shocked after the late decisions of suspending the parliament and constitution and passing on Shafik..etc.. Actually I feel completely the opposite, I feel more relaxed. Why? - Becuase by now people have seen the reality of the "Ismalists" and that they are just another power seeker. 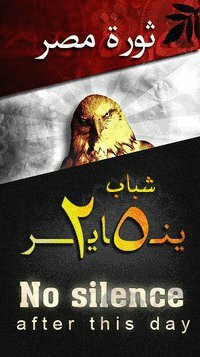 - Becuase by now people have also seen the reality of SCAF with all its bad and good sides. - Because by now people should have learnt the lesson of working together (Hamdeen/AbouElfetoh/Ali..etc)..and preparing our candidates and offering a strong opposition and an alternative to the unbiased Egyptian people..
- and finally Because now we are playing in the daylight ..i.e 3al makshouf, and it is much better to play it this way specially for the revolutionists. So again, I do feel the path is really long but we can see clearly now, and it is up to us to stand still or go through it armed with the belief that who laughs last, laughs best..